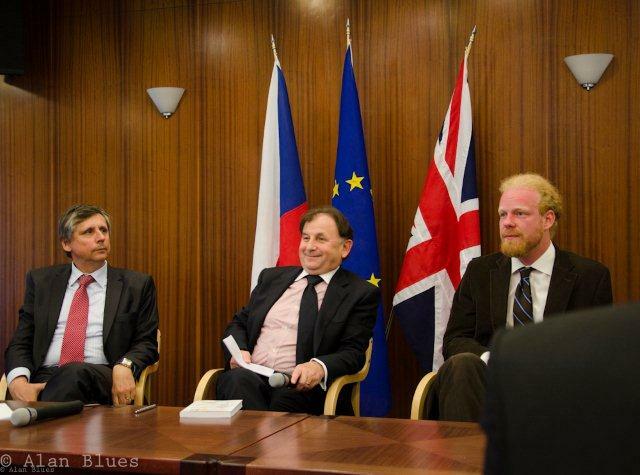 The Czech Embassy hosted a discussion with a young Czech economist Tomáš Sedláček to launch an English version of his book. The Ambassador Michael Žantovský and Mr Jan Fischer, EBRD Vice-President and former Czech PM, discussed the economic, political, historical and philosophical issues with Tomáš Sedláček, a young Czech economist. His book Economics of Good and Evil is undertitled The Quest for Economic Meaning from Gilgamesh to Wall Street. The foreword was written by Václav Havel. 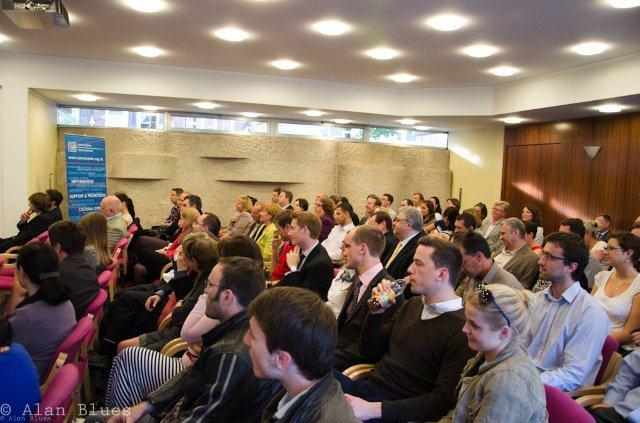 The vivid and thorough discussion was attended mostly by younger audience and was a part of Sedláček´s UK talks in Oxford, Cambridge, Royal Society of Arts, House of Commons, etc. 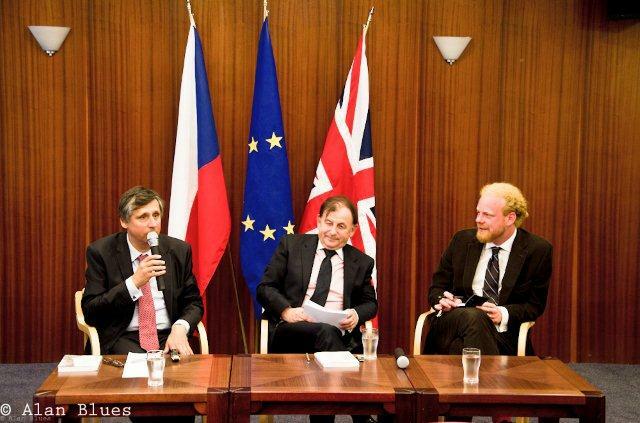 The event was organised in cooperation with the Czech Center and the Czech-British Chamber of Commerce. The book was published by Oxford University Press.